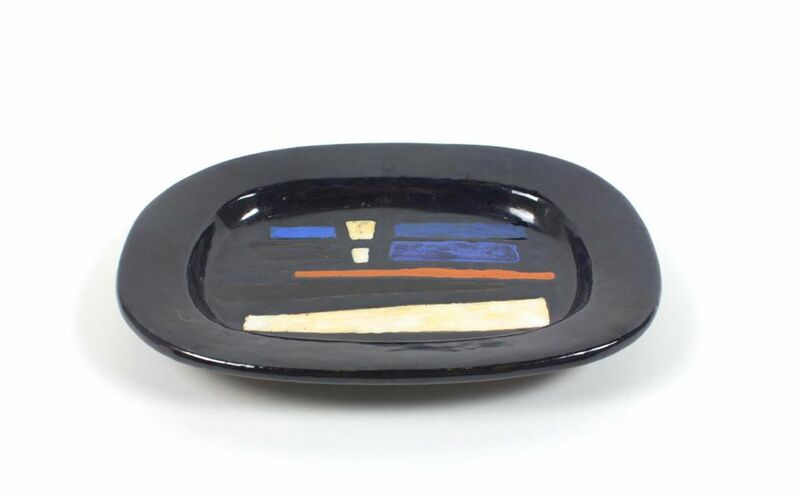 In a decisive move initiated by Picasso at Vallauris in the 1950s, French ceramicists adapted traditional pottery-making practices, revolutionized forms and techniques and engaged with modern art. The wealth and diversity of the burgeoning French ceramics scene in the post-war period is illustrated through the works of some important artists including Jean Derval, Jacques Pouchain, Jean Amado and Mado Jolain. This new generation of potters did not cut ties with the vernacular traditions of France’s long-established ceramics industry, but elevated them to a new level, exploring the multifarious potential of an art previously perceived as solitary and Promethean. Their creativity displayed the rigour of stoneware combined with the exaltation of colour, vehement sculptural forms and the quest for self-evident simplicity, and signalled a shift from mass-production to one-off pieces. The vitality and regained liberty of this movement in ceramics also reflected the birth of a new society. MCML Studio is a creative space entirely dedicated to exceptional and rare Mid-Century Modern antiques from the 1950s to the 1970s. The Studio prides itself on bringing some of the greatest designs in furniture, ceramics and lighting by the greatest designers of this stunning period to Dubai.